People seem to remember patients in the hospital during the Christmas season, but what about the rest of the year? 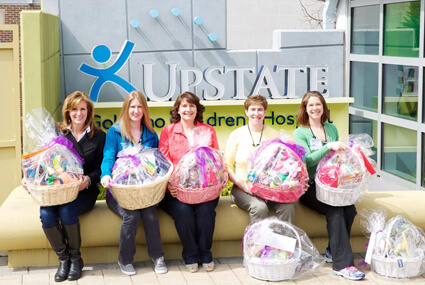 Since 2007, Maureen’s Hope has delivered 60 – 70 baskets to Upstate Golisano Children’s Hospital that are be placed in the rooms of hospitalized, sleeping children so they awake to a surprise on Easter Morning. The baskets are personalized for the children based on their age and filled with items that bring them comfort, hope and smiles. Some of these children have been in the hospital for way too many weeks and some may have arrived the day before. We want to make certain the Easter Bunny can find them! This special project has been greatly received now for the past seven years. 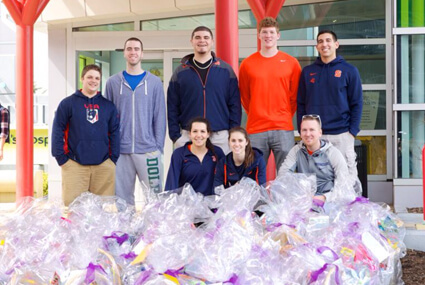 Syracuse University (SU) Athletes have helped with the delivery and also provided signed footballs from the SU football team to add to baskets. Each basket is valued at about $125 and shopping is done throughout the year. Some of the items included in the baskets are cozy blankets, journals, books, stuffed animals and age specific items such as pacifiers, bibs and bottles for babies, Little Tykes toys for toddlers and iTunes cards for the teens. Tim Hortons, which is located inside the hospital, also donates gift cards for each basket. The idea for this project came as a special way to celebrate and remember Maureen’s birthday, which is in April. After a long Central New York winter, the spring baskets are given to the children as a sign of HOPE. The warmer days, brighter sun and blooming flowers give our souls a boost and sometimes it’s just the encouragement we need to put one foot in front of the other and believe in better days ahead! As a Child Life Specialist at Upstate Golisano Children’s Hospital in Syracuse, normalizing the hospital stay for our patients and their families is an integral part of my job. Our patients come from over 17 outlying counties and are a blend of all cultures. As you can imagine being hospitalized on or near a holiday can be very emotionally challenging. For the past 7 years, Sue and the staff from Maureen’s Hope have put together the most amazing “Spring” baskets for our patients. Although distributed on Easter morning, the baskets reflect the diversity of our patients’ backgrounds and ages. 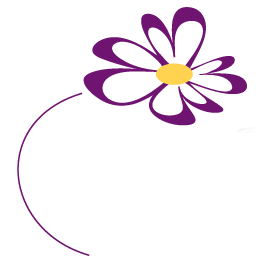 A Thank you is an understatement for the generosity your organization affords us. We truly appreciate all you do for our patients and families.